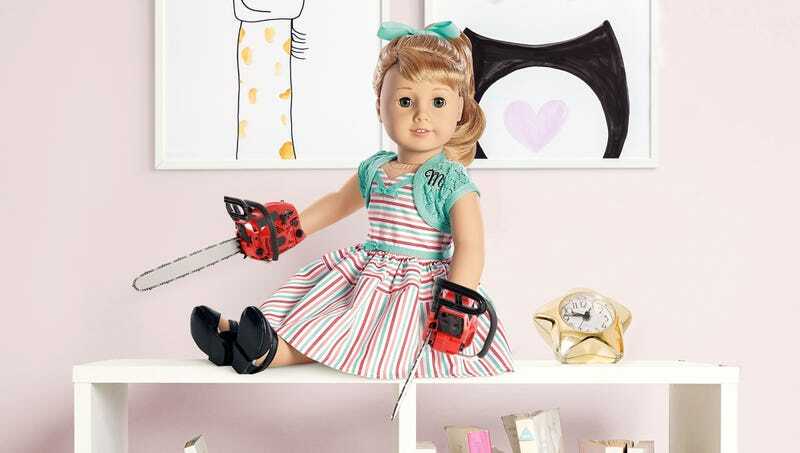 EL SEGUNDO, CA—After receiving hundreds of injury reports from parents across the nation, American Girl announced Thursday that it has decided to recall 50,000 dolls with chainsaws for hands. “Due to a factory error at our plants, thousands of our signature ‘Maryellen’ dolls were accidentally sent out with small chainsaws where her hands should be, so we’d like to ask anyone who purchased one—batch number A6123—to immediately take them away from their children and file a claim on our website to receive a full refund,” said vice president of global retail Wade Opland, adding that the sharp metal teeth attached to the rotating chains pose a significant risk for lacerations, and that the company would like to be proactive before any serious incidents occur. “We at American Girl offer our deepest apologies for the manufacturing oversight and are currently revising our quality assurance standards to ensure something like this doesn’t happen again.” According to sources, this is the company’s worst recall since the accidental distribution of “Caroline” dolls that had flamethrowers for eyes.